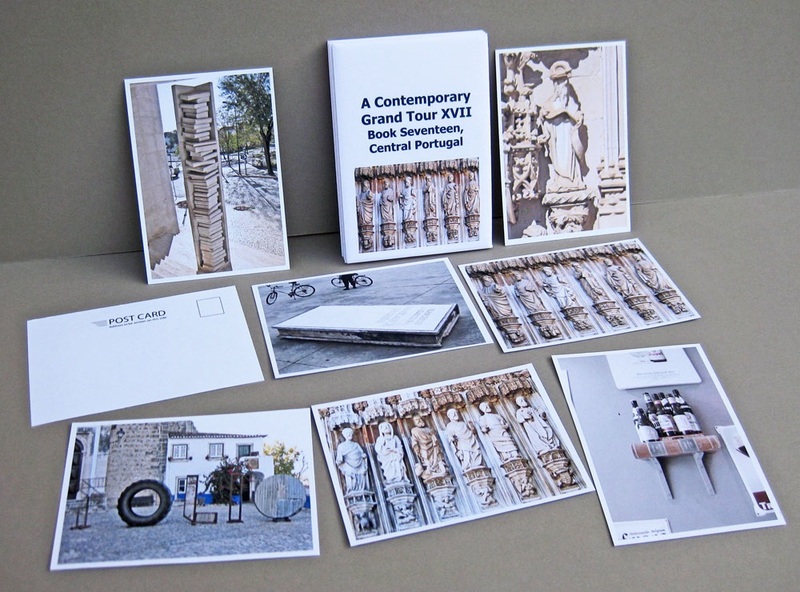 Inside the eight envelopes are unused postcards with my photographs of Portuguese public sculpture, old & new, featuring books. Such “book” sculptures are common in Portugal, in contrast to the UK. Is Portugal more literary or “booky” than the UK?